Why invest on your own when there are hordes of advisors and salespeople at your local bank or mutual fund company falling over themselves to take your money and save you the effort? It all comes down to cost. Those people don’t work for free. Though they may never send you an invoice, they’ll nonetheless be taking their fee invisibly, in small chunks through the year. Indeed, Canada has some of the highest investing fees in the world. A typical mutual fund investor may pay nearly 2.5%, and while that small percentage may not sounds like a lot it can represent a huge part of your investment returns. And they take it whether your funds make money or not. Over the course of an investing lifetime, your bank may make more on your money than you do. For someone investing $200,000 in a typical Canadian mutual fund, their bank may take over $4,800 every year. Do you get thousands of dollars worth of advice and planning for your money? Is your advisor or sales representative providing value for that invisible commission? 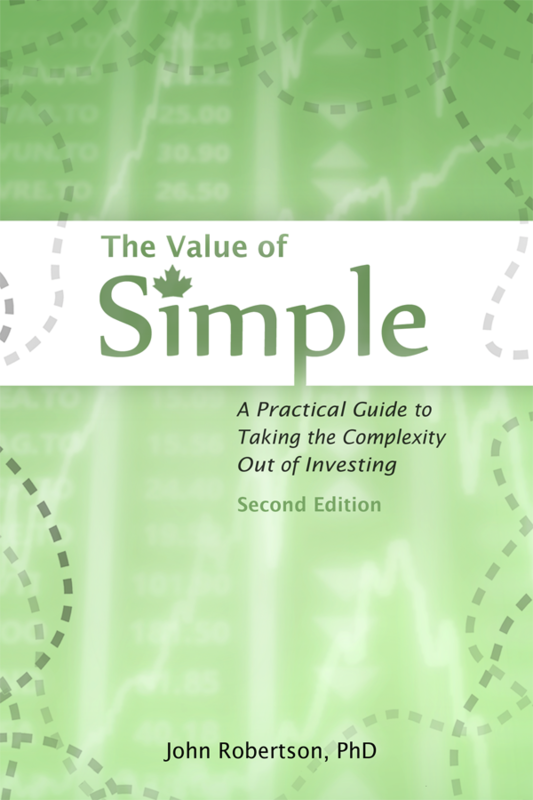 Fortunately there are easy-to-use low-cost options available, and the Value of Simple will walk you through how to invest on your own, keeping your money working for you. With the savings you could choose to hire a planner in a transparent way, for a flat or hourly fee that you deem reasonable — or come up with your own plan and keep the difference for yourself. Even if you choose not to do-it-yourself, knowing what’s involved in investing — and how easy it can be — will help you have a more intelligent conversation with your advisor, and ensure that you get value out of the relationship.